Wow! 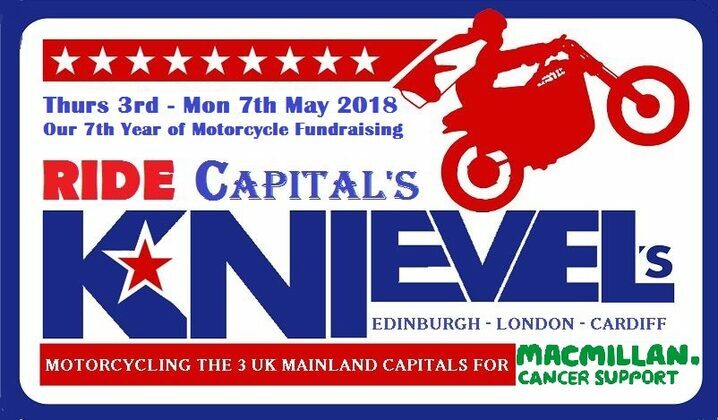 'OUR 2018 BIG UK CHARITY MOTORCYCLE EVENT'..
...A UNIQUE UK adventure... Motorcycling to the 3 mainland UK Capitals over the May Day Bank Holiday weekend.. Over 1200 miles of A roads...Riders can opt to join us for the full route or sections to suit their location & availability.. We appreciate work commitments, so fit the ride to fit you.. Raise sponsorship and you qualify for rider entry to the ultimate ride out around our UK Capital Cities.. Motorcycle to EDINBURGH - LONDON - CARDIFF. The 2018 RIDE Capitals UK was our 7th annual main event - in partnership with its sister event 'The RIDE Cymru 1000 - Perimeter of Wales' we have since 2012 raised £47,000 for charity. In 2018 we raised funds for MACMILLAN CANCER SUPPORT.. 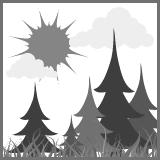 If you want further details please visit our FACEBOOK or TWITTER pages. If you wish to register for entry please email info@ridecymru.com with your full name, mobile contact number & full bike details. Please include name of your pillion rider if applicable. In 2018 we raised funds for MACMILLAN CANCER SUPPORT. 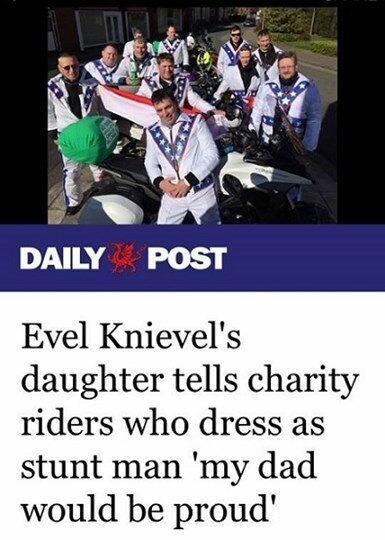 Entry requirement was to raise sponsorship, AND to dress in the colour & style of legend Evel Knievel. 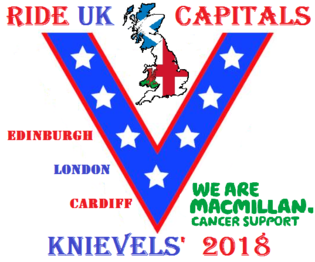 RIDE Capitals 2018 witnessed the return of the 'Kneivels' theme as we continued to raise the profile of a fun charity event, and raise as much money as possible for charity. We do prefer entrants to join the fun, riders need to provide their own Kneivel costume to wear over their gear. Costume details available on our facebook page. 2018 - Thursday May 3rd we departed from Wrexham in north Wales at 9am. We motorcycled to Morecambe where we met with TT legend John McGuinness, followed by a stop at Gretna Green for lunch. Late afternoon we reached Knockhill Racing Circuit, for 3 great laps! Our evening destination was Dunfermline in Fife. Our suggested evening stop was Premier Inn Dunfermline. Friday May 4th we departed Dunfermline at 9am to cross the New Forth Road Bridge. Brief coffee stop at the Bikers Cove Café, Queensferry. We then reached our first capital city of Edinburgh for a fun 1 hour fundraising stop. We later visited Holy Island for lunch, followed by a brief stop at Bamburgh Castle. We then headed over the Tyne Bridge to the Angel of the North and concluded the day at Middlesbrough. Our suggested evening stop was Premier Inn South Central Middlesbrough. Saturday May 5th we departed Middlesbrough 9am to head south via Whitby to Olivers Mount Racing Circuit. we later traversed the Humber Bridge, and headed south to meet legend biker & TV pundit Steve Parrish as we concluded the day at Cambridge. Our suggested stop was Premier Inn Girton / Cambridge. Sunday May 6th we departed Cambridge 9am to head south to our 2nd capital city London. We loop the city to visit the world famous Brooklands Circuit and Museum. We then headed across London to the Ace Café London for our lunch pit stop & 1 hour fundraiser with Macmillan Cancer Support. In the afternoon we depart westward via Oxford, Cheltenham stop with Oily Rag Clothing Company, and via Chepstow to our 3rd capital city for the evening celebration in Cardiff. Bank Holiday Monday May 7th we met from 10am till 11am at the Millenium Stadium Cardiff with Macmillan Cancer Support and our guest TV weathergirl & TV Presenter Ruth Wignall, to officially mark the 3 capital cities as completed... We motorcycled a short distance north to a section of Eppynt Circuit, a lunch stop at Owls Nest Llandovery, followed by afternoon visit to Kinsham Circuit - the home of 2011 motorcycle World Superbike Champion Chaz Davies. We enjoy an hour at Kinsham. Entrants then bid their farewells and motorcycle homeward. The main group reached Wrexham at 5pm to conclude the 1,260 mile UK loop. This was by no means a speed trip, we are not hooligans. We rode to promote a good name for motorcyclists. We rode in a controlled manner in a proven 'drop off' system. No riders were left behind, lost or stranded. We expect all riders to ride with integrity within the group, and this was very much the case. RIDERS were responsible for arranging & paying for their evening stops. We suggested booking at Premier Inns for the evening stops of the event - if booked early reasonable rates were available. Sunday evening May 6th Cardiff central. We reached each evening destination at 7pm - and we later met each evening destination to socialise and share the experiences of the days ride. We thank John McGuinness, Steve Parrish & Ruth Wignall as our 'Special Guests' in 2018. 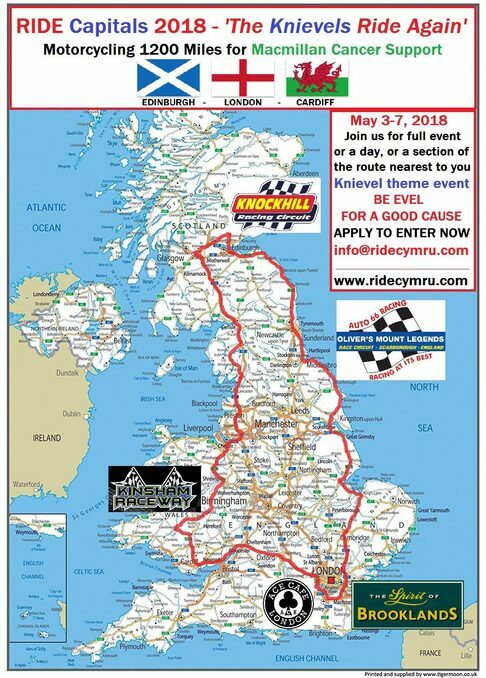 We extend a big thanks to Knockhill Circuit, Olivers Mount Circuit, Brooklands Circuit & Museum & Kinsham Circuit for supporting RIDE Capitals 2018.